Robert Vogt, Guestline’s Director of Business Development for Benelux recently met up with the super friendly team at Oaky, the upsell geniuses with incredible knowledge. Having recently signed a partnership agreement, we were keen to find out more about Erik Tengen, Oaky’s Co-Founder and CEO, and the benefits of having Oaky integrated with Guestline’s Rezlynx PMS. Oaky are leading the field in driving incremental revenue and enhancing the guest experience through targeted pre-arrival upselling. Oaky dedicate their time to driving more direct bookings, improve online reviews and increasing revenue for hoteliers around the world. Hi Erik, great to meet up, can you describe to our readers what your job is? I like to think I have the best job, for me, in the world :) As Co-Founder and CEO of Oaky I am responsible for Sales, Partnerships, Funding and being the face outwards of our company. The way I see it, my job is to build relationships and to inspire others by sharing our enthusiasm and excitement for Upselling. Firstly, Guestline has always come across as a really positive team to work with. As a PMS partner, Guestline is strong in the UK market and we see a quick growth into other markets too. With Oaky, our growth strategy has always been around strategic partnerships: Identify key partners, build a strong relationship and integrate. Together we can make happy Guestline customers even happier. Thanks Erik! How will this new partnership benefit mutual clients? Our specialty is to drive incremental revenue and enhance the guest experience by targeted pre-arrival upselling. Everything we do revolves around providing exciting upsells, offered at the right time, at the right price to the right guest. We are excited to be able to offer this (automated) to all our mutual clients together with Guestline. We went live with our first launching customers in late 2014, early 2015. 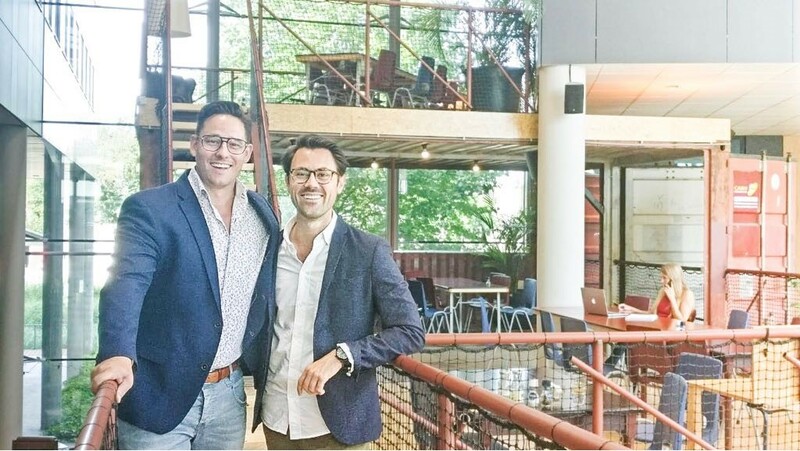 Back then, it was only us three co-founders that worked out of a kitchen table :) It has been an amazing experience to grow to where we are today with hotels in over 50 countries and a wonderful international team. What sets Oaky apart from the rest? I'm the proudest of our passion for what we do and how that has resulted in Oaky being ranked as the #1 upselling tool, with the leading upsell conversion in the hotel industry. Traditional upselling is transactional and focused on selling room upgrades that are granted at the time of check-in. We think that guests prefer instant gratification, which is why Oaky only offers available upsells they can book with 1-click. We believe that hotel guests expect a mobile, on-demand and personalized experience from brands, including their hotel. Guests want the ability to personalize their stay before they arrive, with high-margin offers like room upgrades alongside free services like turning down housekeeping (in return for a reward, like a free pizza) and bookable 3rd party (local) experiences. By enabling guests to add-on services before arrival rather at check-in, the front desk has more time to focus on what they do best - the offline guest experience. Upselling should give guests a story to tell to drive free marketing. In addition, it should evoke good feelings about spending more with the hotel. This mix of driving incremental revenue and enhancing the guest experience is driving huge guest engagement with up to 25% deal conversion. 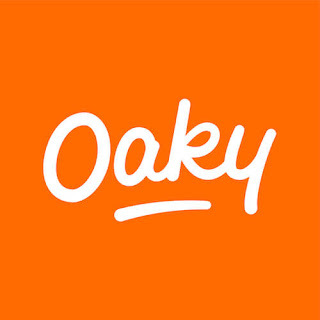 Oaky automates the upselling of personalized upgrades, ancillaries and third party bookable services before arrival. Hoteliers use Oaky for many many different reasons, although, the main objective is to drive incremental revenue. 1. "I want to drive more direct business"
2. "I'm giving away free upgrades and want to sell more of my higher room categories"
3. "I want higher review scores"
4. "Sustainability is very important to our owners"
5. "I want to increase the value of the asset"
6. "I want to reach my OTA guests but have no way of doing this"
7. "I want to drive F&B revenue"
8. "I want to stand out from our competition"
9. "I want to increase the number of loyalty sign ups"
10. "I want to automate the whole process of contacting my guests before they arrive"
1. Firstly, embrace technology as a way of getting closer to my guests, including switching to a cloud-based PMS with an open API. 3. Thirdly, ask my peers in the industry whom I trust (or check www.hoteltechreport.com) what technology they recommend based on step 2. 4. Finally, I would start implementing trials with tools based on step 3 and eventually find a tech-stack perfect for step 2. What is the most exciting technology in the industry at the moment? I am fascinated by the use cases on personalization (pricing, communication, attribute based shopping, upselling) that machine learning and automation can accomplish. Voice is in the US slowly becoming the norm for how we search (powered by AI assistants like Alexa), and it significantly changes the way we buy. When this hits travel, I think we have a completely different distribution game on our hands. No longer will we see a long Google list of hotels, but be presented with 1 or max 2 options. Hotels need to make sure they are on the top of Alexa's offerings, and Amazon will have a very powerful position as an OTA. It settles each kind of issues that a customer may come across the banking sector. The best part of it is that it never neglects the requirements of a customer; rather it hears them properly and tries every possible way to resolve them as well.